October is Breast Cancer Awareness Month, an annual campaign to increase awareness of the importance of early detection of the disease. The pink ribbon is an international symbol of breast cancer awareness. Pink ribbons, and the color pink in general, identify the wearer or promoter with the breast cancer brand and express moral support for women with breast cancer. Breast cancer is the second leading cause of cancer death in women (only lung cancer kills more women each year). Breast cancer incidence rates are highest in non-Hispanic white women, followed by African American women and are lowest among Asian/Pacific Islander women. Certain breast cancer risk factors are related to personal behaviors, such as diet and exercise. Lifestyle-related risk factors include alcohol consumption, leading a sedentary lifestyle, certain birth control methods, decisions about having children, hormone therapy after menopause. Early detection is the key to survival. Breast cancer that’s found early, when it’s small and has not spread, is easier to treat successfully. Getting regular screening tests is the most reliable way to find breast cancer early. Recommendations for early detection include annual mammograms, ultrasounds, MRIs, and breast biopsies. Annual mammograms are recommended for women aged 45 and older. Breast cancers found during screening exams are more likely to be smaller and still confined to the breast. The size of a breast cancer and how far it has spread are some of the most important factors in predicting the prognosis. At times, breast cancer can spread to lymph nodes under the arm or around the collar bone and cause a lump or swelling there, even before the original tumor in the breast is large enough to be felt. Swollen lymph nodes should also be checked by a health care provider. 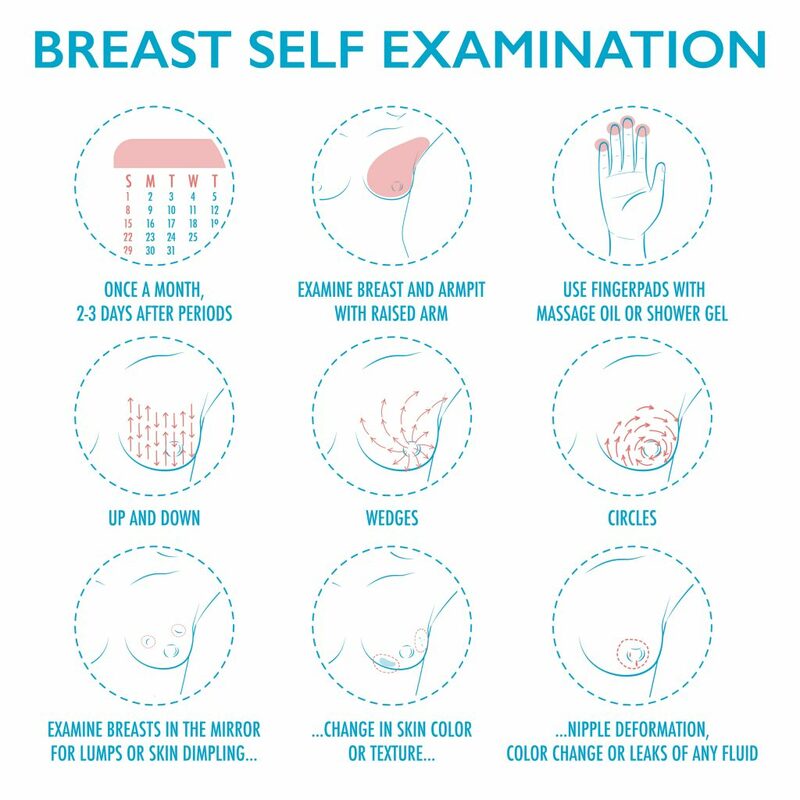 Although any of these symptoms can be caused by things other than breast cancer, if you have them, they should be reported to a health care professional so that the cause can be determined. 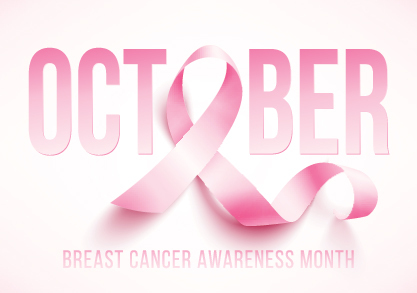 In support of those battling breast cancer, as well all survivors, please wear pink during the month of October and make sure you get that mammogram!